The incredible artwork on the cover is by the brilliant Taylore Dawn Kelly-Artist. 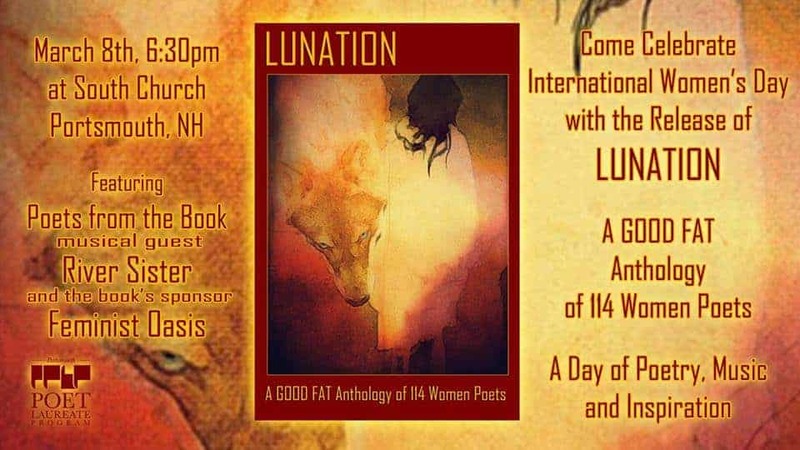 Lunation is being published under The Portsmouth Poet Laureate Program and as such is a not for profit community project. Any money made from the public sale of the book goes back to the PPLP to cover printing costs and costs associated with the event. Any money left over after that is kept by the PPLP for future community building projects.